electronic products, and focusing on the development of high quality products. Certificated by UL. motorcycle, ATV, snow mobile and lawn tractor batteries. 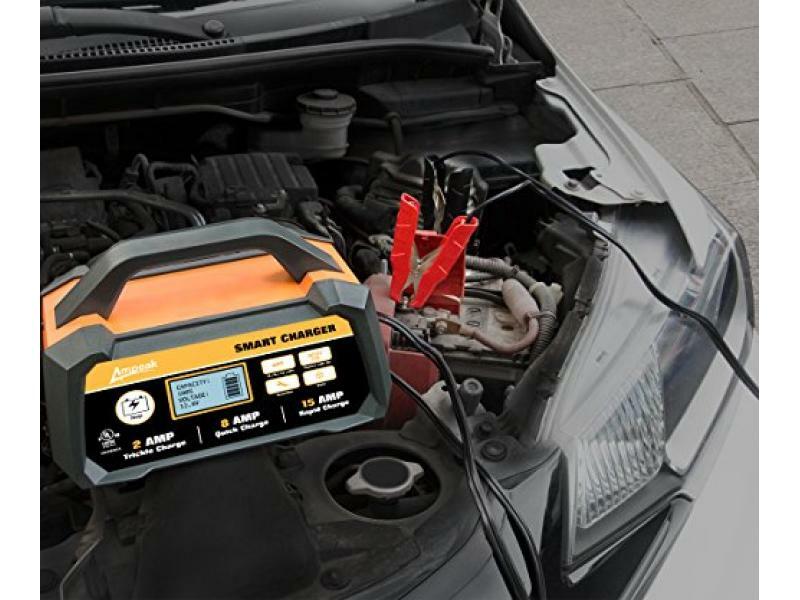 damage; for car, truck, marine, RV, farm equipment, AGM, gel cell and deep-cycle batteries. Do not expose this product to water, rain, snow, condensation, or spray. Do not attempt to fix the unit by disassembling or modification.